THIS PERFECT 4,000 SQFT COUNTRY COLONIAL W/5 STALLS(WATER & ELECTRIC) W/ROOM FOR 3 MORE STALLS IS SITED ON 4.7 ACRES ACROSS FROM THE MANASQUAN RESERVOIR. HOME BOOSTS: 4 LARGE BEDROOMS, 3 FULL BATHS, 4 ZONE HWBB HEAT, CENTRAL AC, HARDWOOD FLOORS W/INLAY, UPDATED EAT-IN KITCHEN WITH GRANITE COUNTER-TOPS AND LARGE WALK-IN PANTRY, LIVING ROOM W/WIDE PLANK WOOD FLOORS & FIREPLACE, DINING ROOM W/BAY WINDOW, SUN-ROOM, OVER-SIZED FAMILY ROOM W/VAULTED CEILING & WOOD-STOVE. UPSTAIRS FEATURES: HUGE MASTER SUITE W/VAULTED CEILING, 2 HUGE WALK-IN CLOSETS, MASTER BATHROOM W/DOUBLE SINKS & JACUZZI TUB, 30' LOFT W/VAULTED CEILING & SKYLIGHTS. ALL ROOMS IN THE HOME HAVE ACCESS TO WONDERFUL COVERED PORCHES W/BEAUTIFUL VIEWS. BRING YOUR HORSES, NATURE ENTHUSIASTS, LANDSCAPERS ETC...A MUST SEE!!! 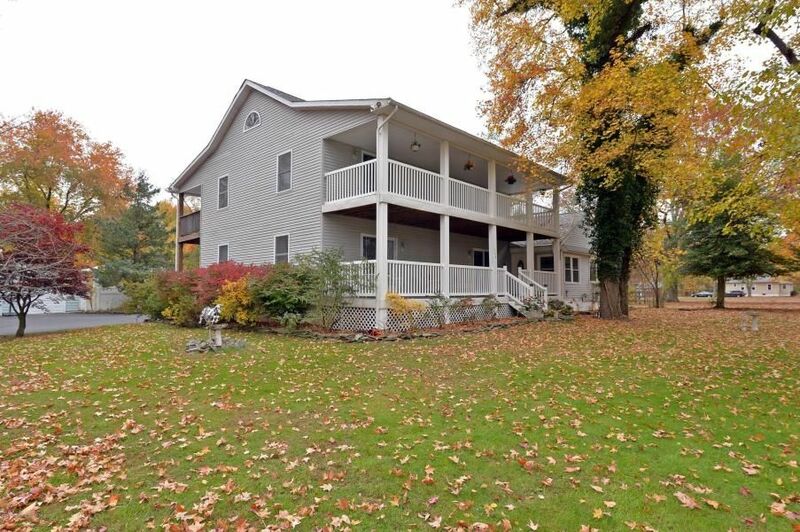 Listed by Lenore Burry Manicioto of Colts Neck Realty.